Is it possible that Cain Velasquez would fight the winner even if that meant taking on his teammate? Cain Velasquez plans on making his return to the UFC in 2o18 but his path back to the heavyweight title just got rather interesting. The former two-time champion is still months away from making his return but now Velasquez will sit as a spectator for the upcoming title fight pitting Stipe Miocic against light heavyweight champion Daniel Cormier. 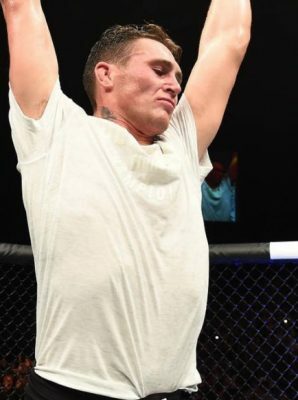 The fight came together in large part thanks to Velasquez giving his friend and teammate Cormier his blessing to pursue the matchup with Miocic. Cormier had long stated that he didn’t want to return to heavyweight due to his close bond with Velasquez, who also competes in the division. Well Velasquez definitely gave Cormier his blessing to take the fight but then he dropped a message on Twitter that made it sound like no matter who wins in the UFC 226 main event in July that he would be gunning for them. “Like always, I’m gonna be in the gym everyday to help my brother Daniel Cormier become the next heavyweight champ at UFC 226. 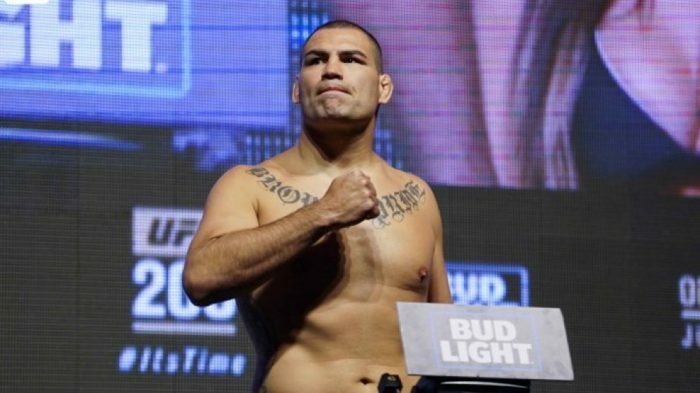 Once he wins, things could get interesting,” Velasquez wrote on Twitter. Now considering Cormier has already said that he plans to retire by March 2019 when he turns 40 years old, it doesn’t give him a lot of time to defend the heavyweight title should he find a way to beat Miocic in July. Still, Velasquez definitely seems determined to get his crack at the belt so only time will tell if this might result in a clash between teammates down the road. For now, Velasquez will continue to work towards his own comeback while helping Cormier get ready for the challenge of taking on the longest reigning heavyweight champion in UFC history later this year.